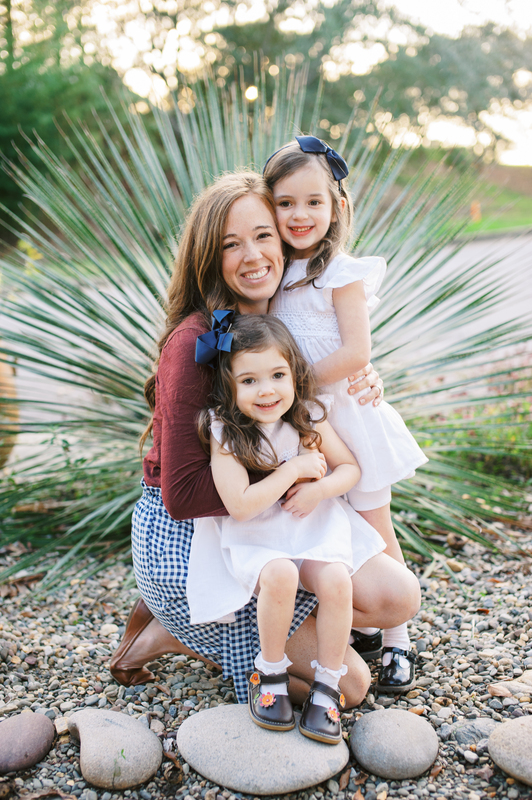 Celebrating Holy Week with your littles can be sweet, simple, and intentional. Holy Week is a beautiful time to reflect and celebrate the incredible, loving work Jesus did on the cross long ago. This is also a perfect time to draw in our littles and intentionally share the hope we have because of Easter. This is also Spring Break for a number of families so it maybe be a perfect time to put together a few extra special activities. Each of the activities I’m sharing today are simple. They don’t cost a lot of time or money. 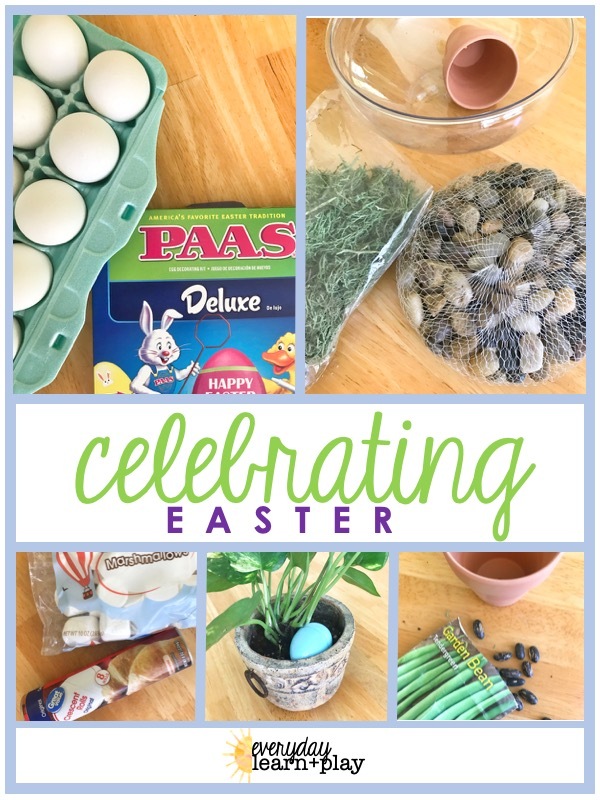 I hope as you read that you feel encouraged to try something new or maybe that nudge to do those sweet Easter traditions that mean the world to your littles! The first project we’re doing this week was one that has intimidated me forever. I love the idea of putting together a resurrection garden with my littles. Taking the time to talk about the garden, cross, and tomb but I was overwhelmed trying to figure what we needed and how to do it! Enter my sweet friend, Keri. She is brilliant and blogs over at www.kerilynnsnyder.com She had the best idea to gather up supplies from the dollar store! You can get literally everything even down to the dirt for $5 or less depending on what you already have at home! This afternoon we’ll put together our garden and add 3 crosses by finding sticks and hot glueing them together to make a cross. As we work together it’s a perfect time to seamlessly weave in truths from the gospel and why the cross is so very special. If you’ve been around any length of time you know we LOVE snacks! We use regular marshmallows, crescent rolls, butter, and a cinnamon/sugar mixture to make resurrection rolls. All you do is fold a marshmallow into the crescent shape, brush with butter and cinnamon/sugar mixture and bake as the crescents direct you too. These are SO FUN because it’s a literally sweet object lesson to show how Jesus was buried in the tomb but when the women came to find him he was gone! Celebrate that He is alive and risen with a sweet treat! While we’re on the topic of food, this is a tradition we have all enjoyed since our own childhoods, right? Dying Easter eggs? Building family memories together one messy activity at a time! This month in our learn + PLAY calendar we have been learning about gardens. We have started several bean plants using our zip bag greenhouse but this time I wanted to show the children a different object lesson. I love, love, love the beauty in gardening and the many analogies we can find to both the gospel and the christian life. This week we will “bury” (plant) a seed just as Jesus was buried. We’ll notice that it looks like it’s gone. We’ll observe lifeless dirt and miss that sweet little seed we’ve so enjoyed using in our zip bag greenhouse. Each day we will water it and then, by the weekend at the latest we will see what a wonderful surprise. The seed didn’t stay buried. It sprouts out and up with bright green, new life! Isn’t that such. sweet picture of the gospel and our Christian life! It might speak to my heart more than my littles! Last but not least we’ll do our Easter story egg hunt this week but we’ll do it a little differently. Instead of hunting around in a big hunt in the yard I’ll fill a plastic egg on our table with a new item each day. That night at dinner we’ll open the egg and talk together about what’s inside and what it means. Mamas, we have a wonderful privilege being home with our littles and getting to invest in them- this would be a great way to give dads opportunity to be a part and to celebrate together as a whole family! You can find my Easter Story Egg Hunt printable here. I hope these ideas bless and encourage you! All these ideas are fun but there’s no rule saying you have to do them all! Or that you even have to do them this year. Pick one or two to try or stow them away for inspiration next year! No matter what you decide, I am praying your Easter celebrations are filled with the peace and true JOY that comes only from Jesus! He is Risen!